Note: This story is still very much a work in progress, and I plan to continue updating it significantly. When the story is complete, I will remove this notice. Again, I am stunned!!!! Panerai is so full of surprises lately!!! 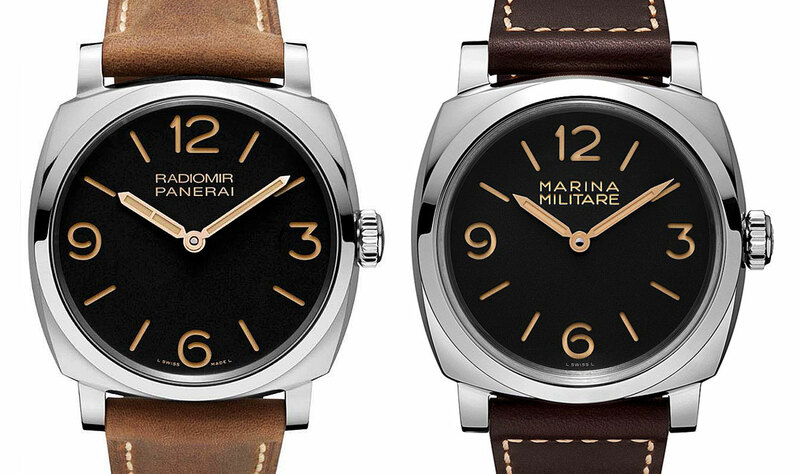 They just introduced a super-limited edition Radiomir Panerai and only made 60 of them. This watch was made exclusively for the Russian market and is only available through the Panerai Boutique in Moscow, Russia. This model appears to be based upon the Rolex made Reference 6154 Radiomir, and is the very first example Panerai has made of this magnificent design. Keep in mind Panerai just surprised us with the introduction of the PAM00587, which is based upon the Rolex Made Vintage Panerai Reference 6152, and now they stun us with this model based which appears to be based upon the Rolex Made Vintage Panerai Reference 6154, which has been nicknamed as "The Small Egiziano." • The watch has a sapphire crystal v. a plexiglass crystal. Of course the vintage Panerai Reference 6154 had a plexiglass crystal. This stops this model from being 100% historically accurate. Contrast this with the all-new PAM00587, which has a plexiglass crystal that make it look more vintage. There are some advantages to having a sapphire crystal: For instance, it is scratch-proof. The general consensus is that plexiglass offers a warmer look. I put together the graphic below to illustrate all the subtle differences between the PAM 622 and the PAM 587. It is amazing how similar yet different they look from the front view, yet their side profiles, which we can't see yet are very different. 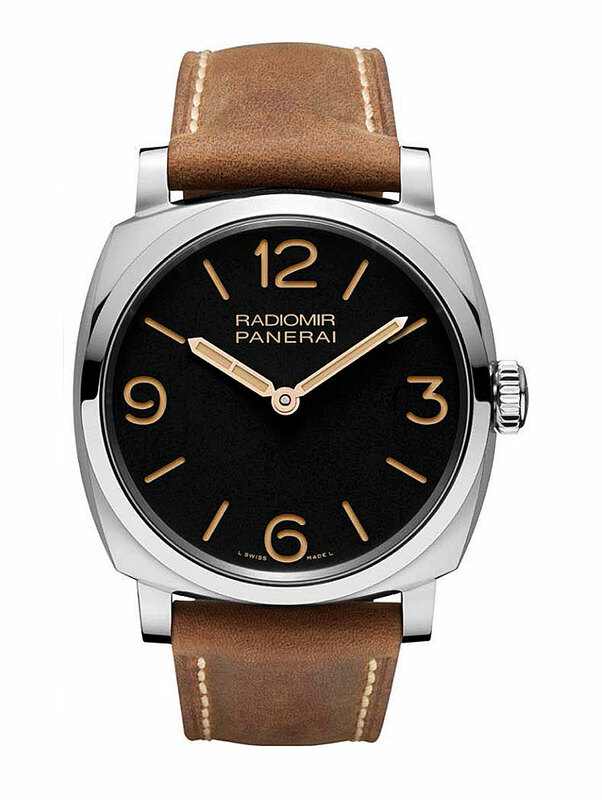 • The "RADIOMIR PANERAI" dial designation uses a smaller font than on the original vintage, which slightly throws off the look of the dial and stops it from looking 100% vintage/authentic. In other words, it gives it a more modern look, which takes away from the otherwise vintage beauty. • I am not crazy about the strap that it come on. I think it would be better if it had a strap like on the 372 or 587, which are both 4MM thick throughout. Instead the strap is padded in the middle. I have to see the watch in person, but his is just my initial impression. • Has the double bar hour hand, which looks awesome, but never appeared on a Reference 6154, that I am aware of. • I was really surprised to learn Panerai only made 60 units in this limited edition, but at the same time it doesn't surprise me, since Angelo Bonati and his team are so great at strategic marketing. I don't think it is a coincidence with the timing of this coming directly after the PAM00587 sold out internationally. 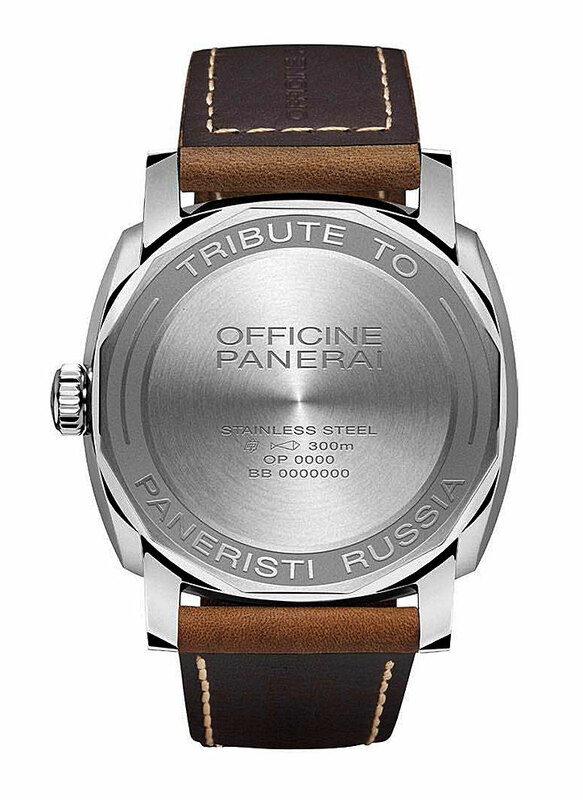 • I was also surprised that this model was launched in Moscow, as a "Tribute To Paneristi Russia". I know there are many, many passionate and loyal Panerai fans in Russia, and I am so happy for the select small group who had the chance to acquire what is arguably the coolest modern Panerai. I say this, because in my personal opinion, the Reference 6154 it is based upon is the coolest Panerai ever made!!! "L SWISS 6 MADE L"
I believe this is historically inaccurate, as no Radiomir ever had that designation, nor did any vintage Panerai. This detail kind of throws off the dial just a little. • My initial impression is that this watch is an absolute stunner. I would probably rate it at 97%, which is the same as my rating for the PAM00587. If the watch did not have the details I mentioned above, I probably would have given it a higher score. My best guess is that Panerai will likely launch a true 6154-like Reference at SIHH, or sometime in the future, that will be 100%. Just to be clear, even though I took away several points for the detail mentioned above, I think the overall shape of this watch is probably better than the PAM00587, since it is so much more streamlined and lower in profile due to the much lower crystal height. Would I prefer this watch over a PAM 587? Hard to say. It might be six of one, and a dozen of the other, and without seeing them side by side, I can't say for sure. My gut tells me I would rater have the PAM00622, because it is closer to the 6154. If this does not make sense, it should after you read the article below I wrote about the PAM00587.